Serial Reader is a fantastic app to help you read those works of classic literature that you're sure you ought to have read, but somehow can't find the time. 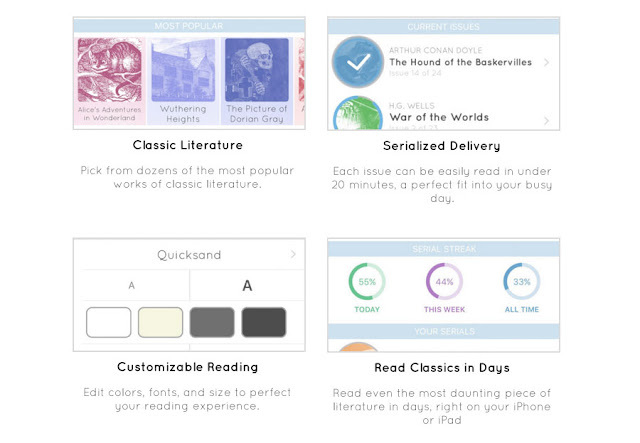 The app (currently only available for iOS) breaks down classic works into manageable bite size chunks to read on a daily basis. Each reading is around 10-15 minutes long. Depending on the length of the book, this can take between 2 and 60 days of reading to complete. The basic version of the app is totally free (with no ads! ), and is limited to reading only one book at a time, once per day. The full version costs under £3 GBP which enables more books to be added to the reading list, with the option to "skip ahead" when you find yourself with more time to spare on reading. 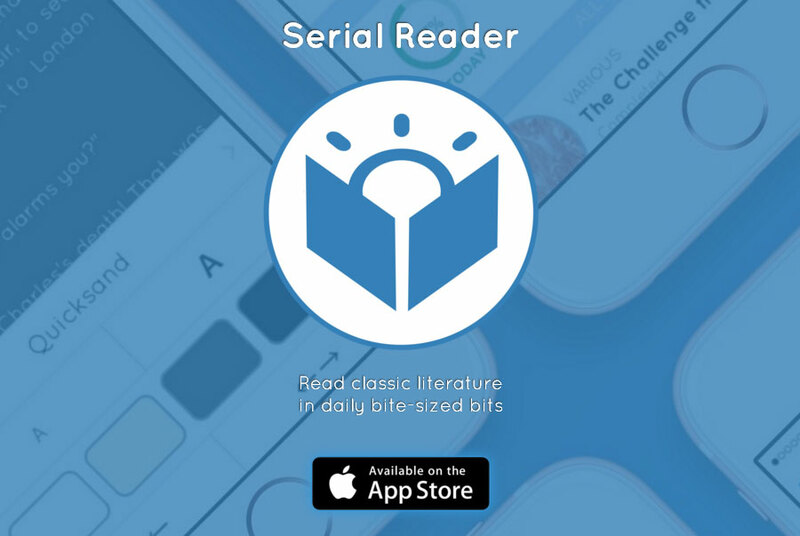 Serial Reader is a really great app to fill in the minutes of a commute, or while waiting in a queue. I have it installed on my phone and was very surprised by how easy it is to use! Learn more or download Serial Reader from the official website. This is to test the recent comments gadget and will be removed after beta phase.